Baby girl attended her first Jollibee party! She had so much fun. 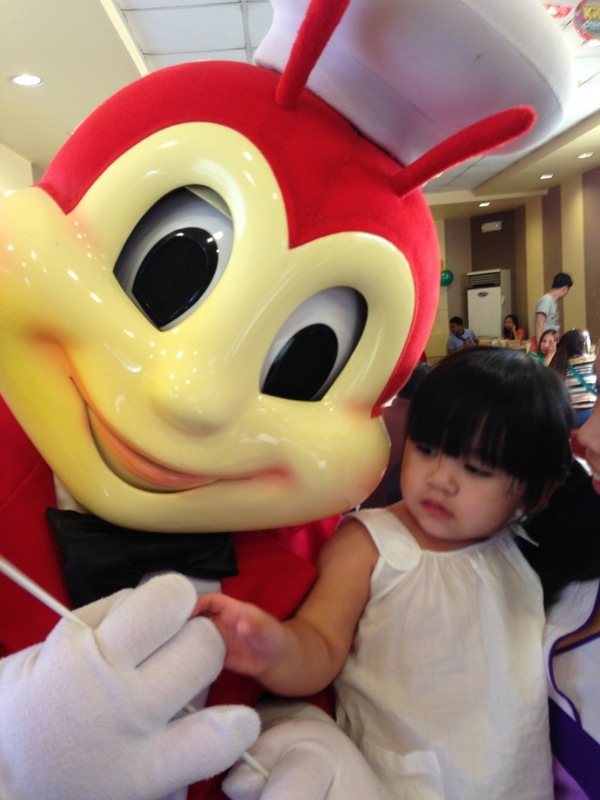 We thought she was going to freak out when Jollibee the mascot came out to join the party. She did not! Look she even snuggled close to Jollibee!